Geothink Summer Institute to Kick-off Monday, June 15, 2015! 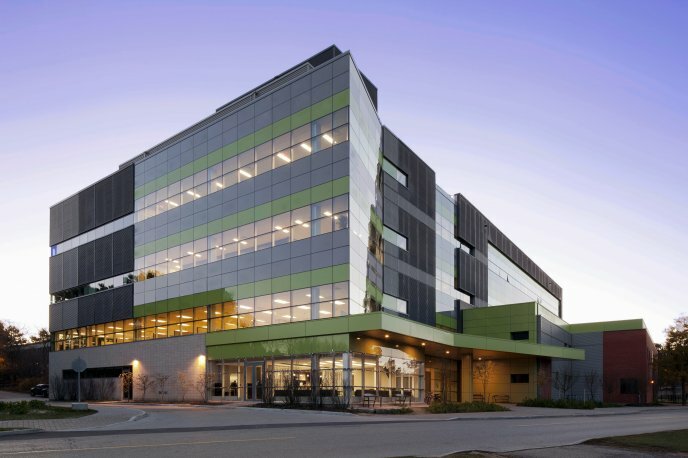 The Environment 3 Building (EV3), at the University of Waterloo, where the summer institute will be held. Get ready Geothinkers, this year’s Geothink Summer Institute will run from June 15-16, 2015 and will be held at the University of Waterloo in Waterloo, Ontario. Check in at our Summer Institute web site, where we’ll be live tweeting the day’s events. The agenda is jam-packed with big names in the emergent field of crowdsourcing, which one Geothinker calls “a web-based business model that harnesses the creative solutions of a distributed network of individuals.” That’s from the University of Southern California Annenberg School of Journalistm and Communication Assistant Professor Daren Brabham, who will be giving one of the morning’s first sessions to more than 30 undergraduate and graduate students who have registered to attend. Other speakers include Robert Goodspeed, assistant professor of Urban Planning at the University of Michigan’s Taubman College of Architecture and Urban Planning; Monica Stephens, assistant professor in the Department of Geography at State University of New York at Buffalo and Geothink Head Renee Sieber, McGill University associate professor in the Department of Geography and School of Environment. Check out the full agenda here. Speakers will explore topics related to crowdsourcing in a hyperlocal world where geospatial technologies like Google Maps and GPS-enabled cellphones enable massive quantities of data to be collected. In today’s world, there are tweets about potholes, mobile applications which deliver directions to the nearest coffee shop, and large databases only recently opened by many governments around the world. This entry was posted in In The News and tagged crowdsourcing, Daren Brabham, geothink students, Geothink Summer Institute, Jon Corbett, Monica Stephens, Renee Sieber, Robert Goodspeed, University of Waterloo on June 12, 2015 by Drew Bush.